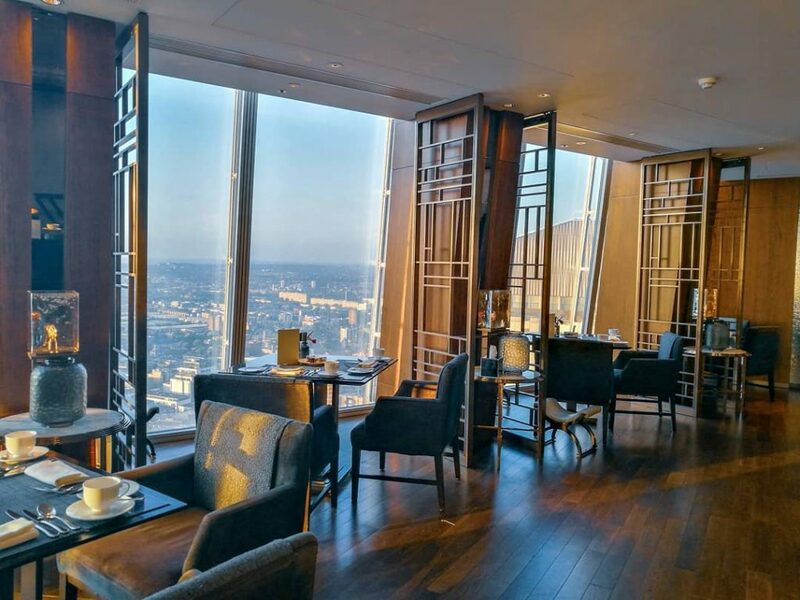 Dine with altitude and attitude at these Shard restaurants. British ingredients get the fine dining treatment on Level 31 of The Shard, with excellent, if pricey, results. Barbary duck breast with apricot ravioli, roast figs, and watercress pesto is a mouthwatering dish, but the £39 price tag makes this one for a special occasion. Until April 2019, Aqua Shard are hosting this utterly spiffing Mary Poppins-themed afternoon tea, which includes sweet and savoury courses, along with bespoke teas created especially for the restaurant. 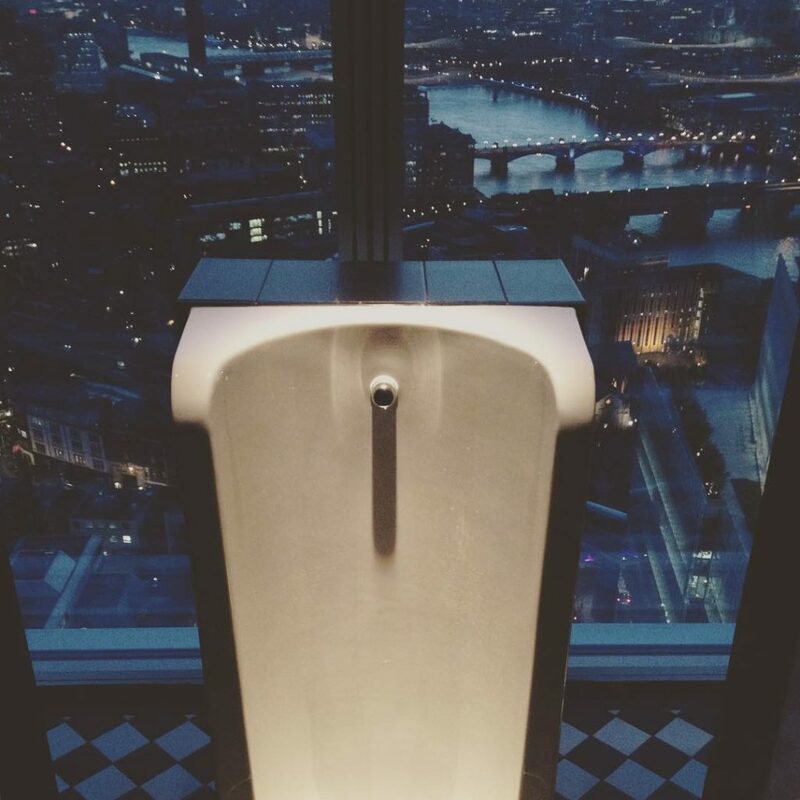 Oh, and on top of all that, the toilets look like this… ? 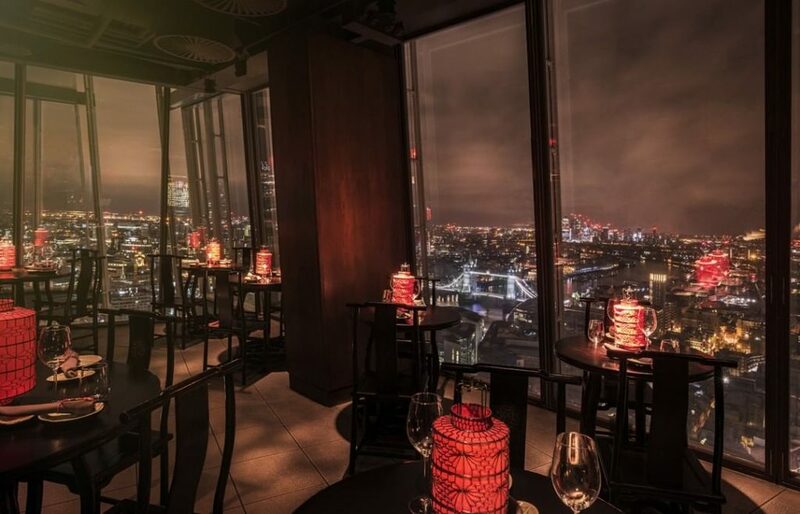 The highest of the Shard restaurants, TĪNG is perched amongst the clouds on Level 35. The name derives from the Mandarin for ‘living room’, and if I had a living room like this, I certainly wouldn’t complain about having a fancy restaurant attached. Cuisine here takes top British produce and gives it a tantalising Asian spin, although you’ll need to stump up £85 for the tasting menu. More affordable is the £16 ‘Asian breakfast’, which is perhaps best enjoyed with the sunrise. You’ve got a choice to make before you even pick up a menu at Oblix. That’s because this 32nd-floor eatery is actually two restaurants in one: East and West, so named for the part of London they overlook. East is a more laidback affair, focusing on cocktails and casual eats like burgers, flatbreads, and seafood. 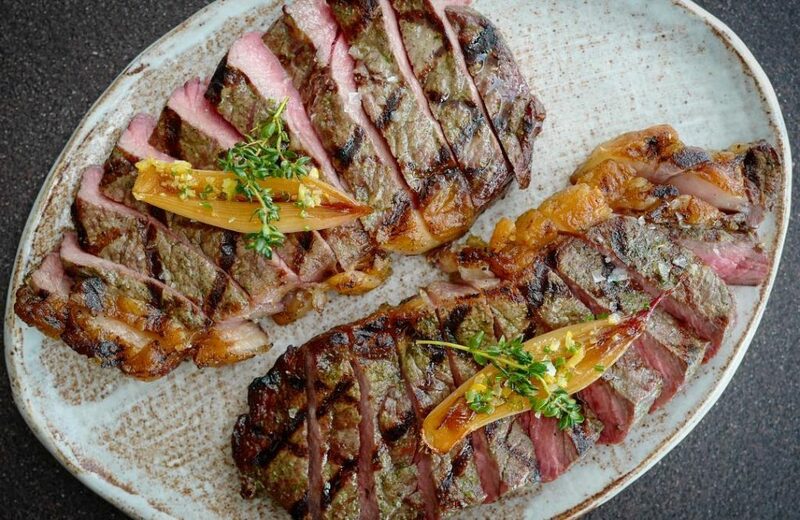 Over at West, the highlights come courtesy of the in-house rotisserie and josper oven, resulting in delicious suckling pig, porterhouse steaks, and whole ducks. As with all of The Shard restaurants, anything you order will cost you a pretty penny – that aforementioned duck is £57 to share between two. 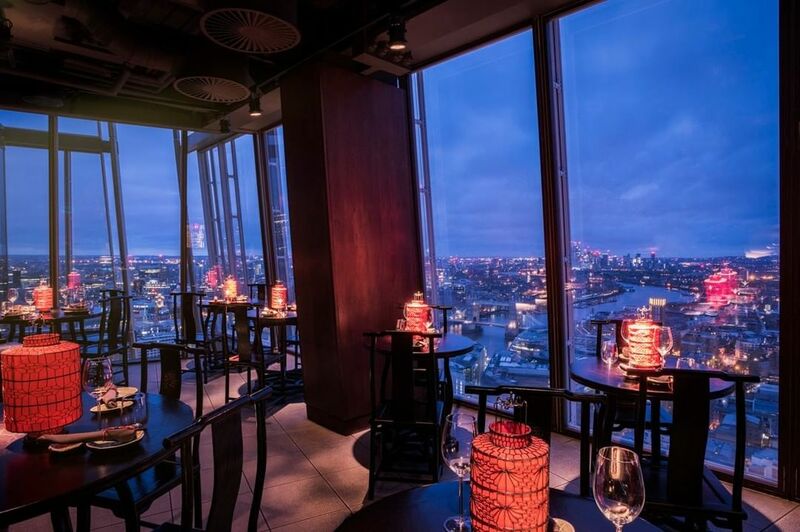 Perched on Level 33, Hutong is the last of our Shard restaurants. Breaking free from the British influences that mark the previous three spots, Hutong is all about Northern Chinese cooking. I’ll be honest with you, I’ve spent the past five minutes scrolling through the dinner menu marking out dishes I’d love to try – with the roasted duck and the beef tenderloin being particular standouts. An impressive selection of seafood, dumplings, and dim sum means that you’ll eat very well here. The final flourish? All of their tables offer a view of the skyline, so you’re assured of a stunning backdrop to your meal. Technically, it’s not a restaurant, but it is in The Shard, so we’re chucking it in. 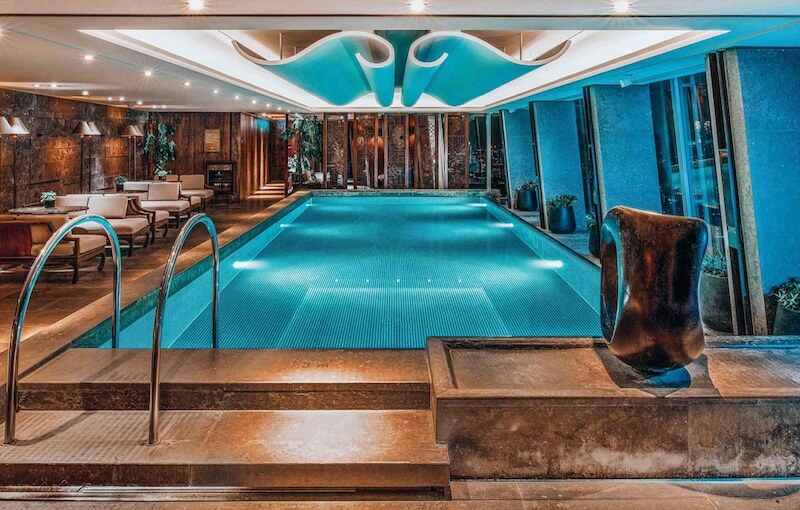 GŎNG is part of the Shangri-La Hotel, which owns floors 34 to 52 of The Shard (eagle-eyed readers will notice that also makes them the owners of TĪNG). 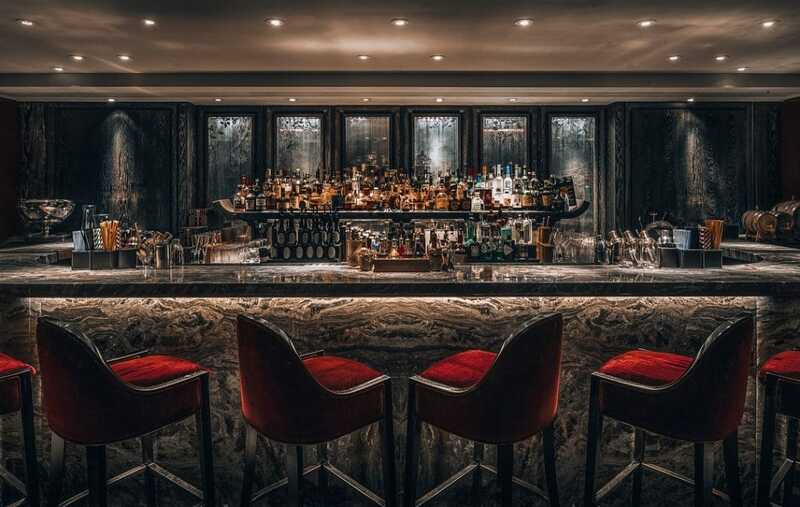 As hotel bars go, it’s a rather illustrious one – not only is it the highest hotel bar in Western Europe, but it also boasts a cocktail bar, a champagne bar, and a swimming pool. Uh-huh, a swimming pool. Equally whimsical is ‘A Miscellany of Inventions’, a cocktail menu featuring libations that honour inventions as diverse as the bicycle, the compass, the tractor, and Coca-Cola. Prefer to dine at ground level? 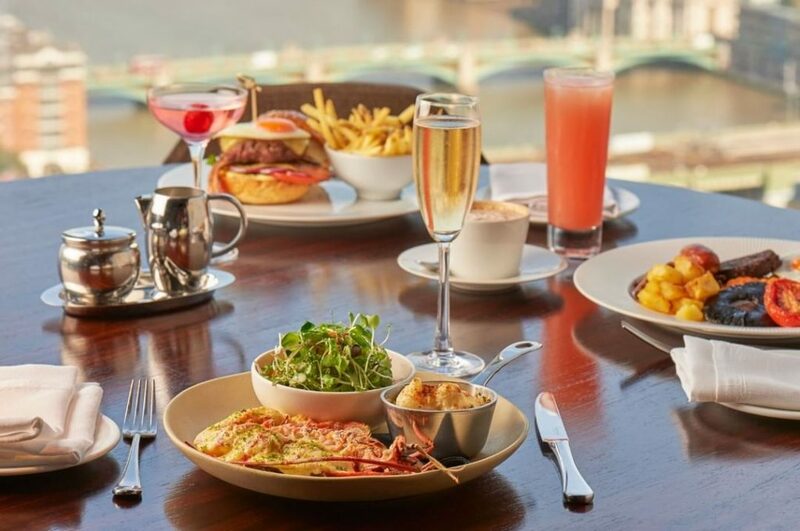 Check out these London Bridge restaurants, all within walking distance of The Shard. Or head up 30 more floors to visit London’s highest viewpoint, The View from The Shard.